I haven’t posted from The Workaholics’ Wife in a while on the blog, although I do on the Facebook page more often. This came to me some time ago, and I thought it might encourage someone today. Several years ago, in the midst of a small church disagreement, a wise young minister reminded us that we can’t pray for - and against - the same thing, cursing with one prayer and asking for a blessing with another. Our homes and marriages are the same. 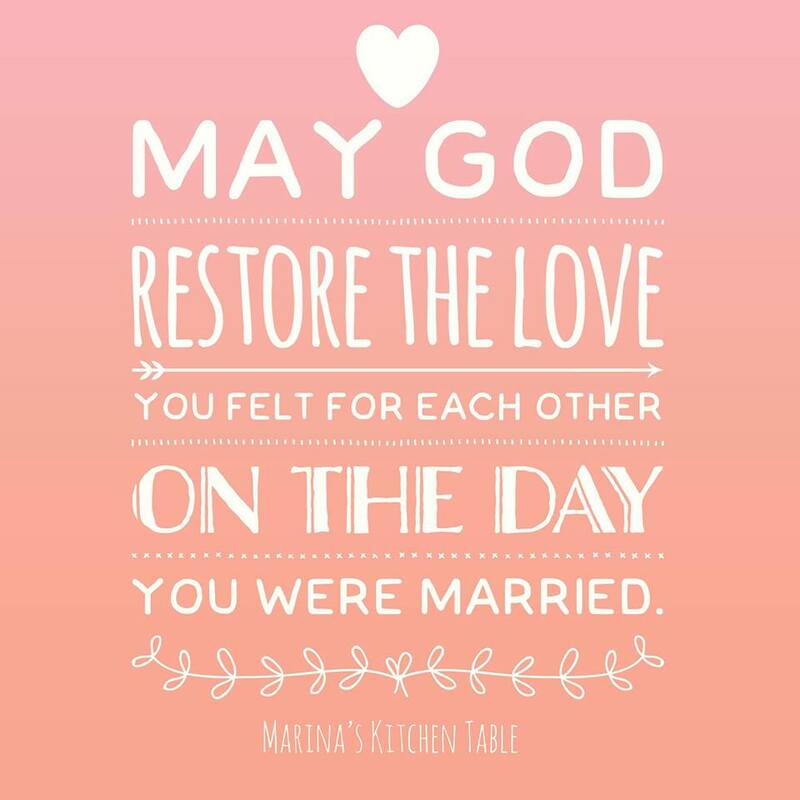 We can not be so angry at our spouse that we ask God to “teach them a lesson” and ask God to make our home prosper in the same breath. We can not ask Him to tear them apart and bring favor to our marriage. When we married, God made us “one flesh.” We can’t be against ourself. So stop the madness. Be on his side. Ask God to give you compassion for your husband, for God to change your perspective, to change your heart. Pray that you’ll understand how much your husband adores you, how he would rather be at home with you instead of at work. Pray that he understands that you love him and miss him, that it’s the love you have for him that frustrates you when he’s not at home. 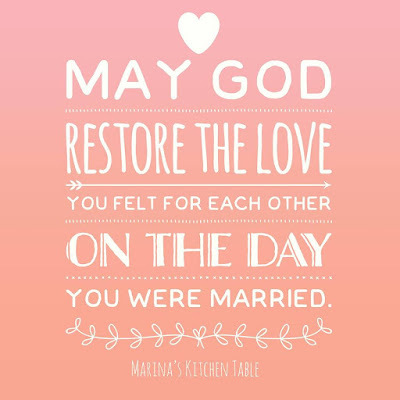 Pray God will put a sure foundation under your marriage, and restore the love you felt for each other on the day you married. Ask for forgiveness, and pray “change me, change my husband, and change our circumstances.” God never disappoints.